JHC Notification 2018.Jharkhand High Court has released a notification for the recruitment of Assistant,Cashier, Typist, Junior Translator and Translator Vacancies.Check the eligiblity and notification prior to apply for the positions. Graduation degree holders from a recognized university can apply for all the posts. For typist post applicants must have typing speed of 40 words per minutes in English. Minimum age for applicants is 18 years, maximum age for applicants is 38 years. Age relaxation for OBC is 03 years, SC/ST is 05 years. Selected candidates post wise given below. Through written exam and interview test contenders will be selected. 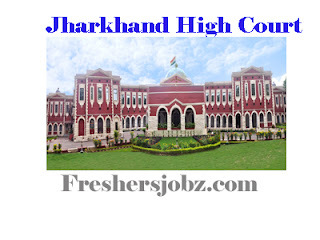 Mode of applying for Jharkhand High Court recruitment through online. 23rd October 2018 is the last date to submit applications. https://jharkhandhighcourt.nic.in/recruitment is the link for aspirants to apply directly.